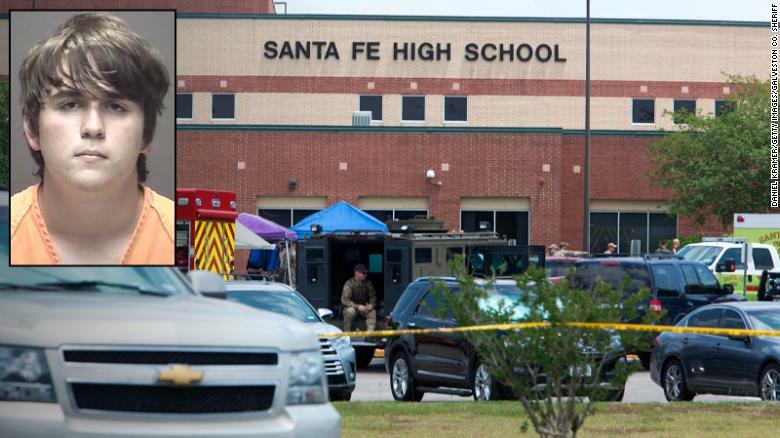 This Past Friday morning, 17-year-old Dimitrios Pagourtzis opened fire at Santa Fe High School in Santa Fe, Texas murdering ten people, physically wounding 13 others, traumatizing the school full of children, and scaring the moral fabric of America. The cruel and unusual style this man used to execute his victims was breathtaking and barbaric. Before writing this column I had to once again overcome the anguish and grief I feel as these type of tragedies become more prevalent in a culture in which I raise my children. Not even animals commit these kinds of atrocities on non-aggressive, defenseless victims. There is nothing that can make up for this tragedy or perfectly reconcile victims with crimes on this earth. The only thing that can bring closure to a victim is swift and unequivocal justice for the deplorable criminal. This is both biblical and constitutional. Extracting their wisdom from biblical Law: “Thou shalt not murder” and “he that murders any man shall surely be put to death for in the image of God made He man,” the founders believed in and practiced capital punishment for capital crimes against humanity. In 2012 the court also determined it is unconstitutional to sentence juvenile offenders to life in prison without the possibility of parole no matter how serious the crime, Justice Elena Kagan writing the majority opinion. This means the suspected Santa Fe killer could be eligible for parole in 40 years when he is 57 years old! But not according to the Constitution which is the highest authority of law in the land. This term cruel and unusual punishment was used by our Framers to prohibit unreasonable torture; disemboweling, mutilation, and things prevalent in Europe and England where kings and governments would use these tactics to make examples of political enemies or coerce men and women into confessions that often times were not true. So, in this case, Dimitrios Pagourtzis has been charged with capital murder and upon conviction, he should speedily lose his right to life in this world.